Join us at the Cole Harbour Heritage Farm Museum for a one day “Introduction to Blacksmithing”. The workshop takes place inside our historic Blacksmith Shop, a working shop developed within one of the site’s original heritage barns. The workshop gets underway at 9am. You’ll start with a brief presentation by the Blacksmith (fresh coffee provided!) on the process of blacksmithing and the role of the Blacksmith in the community. 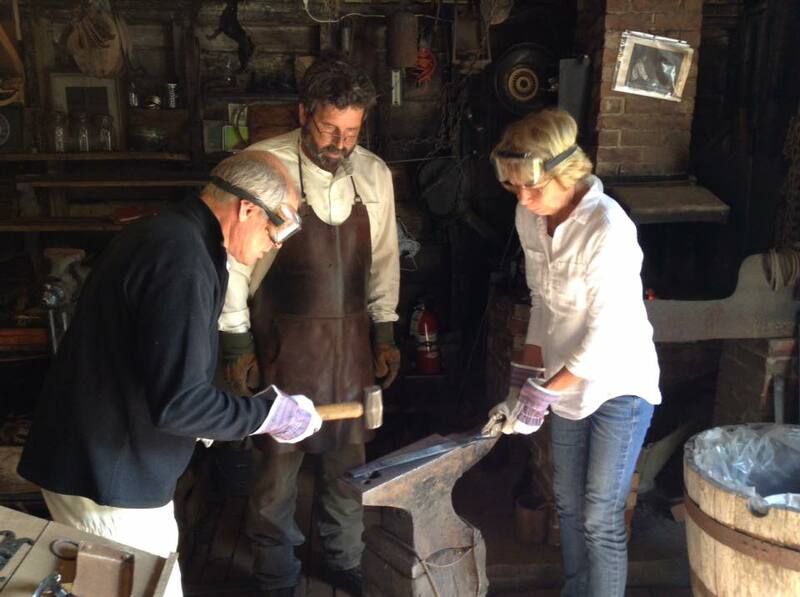 Once you’ve completed the presentation you will head to the forge where, under the instruction and guidance of the Blacksmith, you will create your own project to take home (project has been pre-selected to optimize learning outcomes). This workshop is tailored to adults, 18+ only. There will be a one hour break for lunch; please plan to brown bag it (there are also food services available in very close proximity to the museum). Please ensure you’re dressed appropriately – steel-toed boots and non-flammable long sleeves and long pants are required for participation (ie. jeans and a long sleeve cotton shirt). Long hair must be tied back. Eyewear and gloves will be provided.